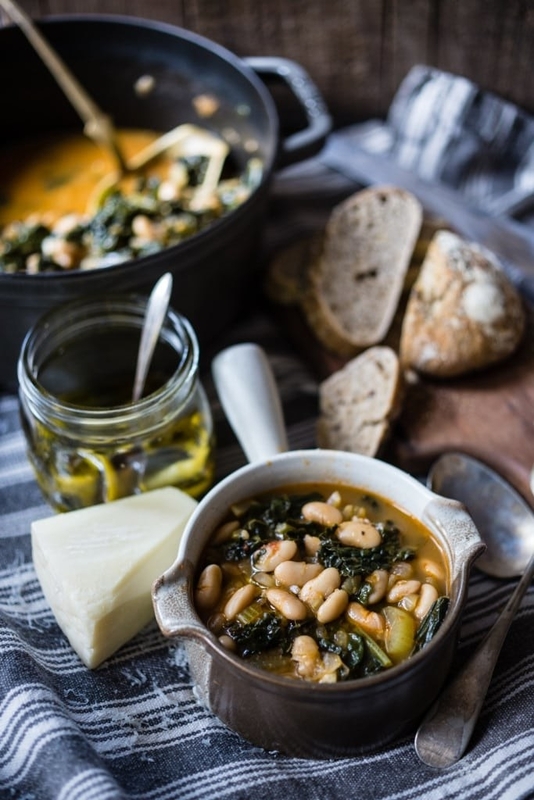 There’s no denying that Italy is home to some of the most delicious dishes in the world — from hearty ribollita, to perfectly al dente pasta, to creamy gelato in an array of flavors. And when it comes to recreating those classic dishes at home, it’s not nearly as difficult as you would think. A lot of Italy’s most famous dishes are actually super easy to cook yourself, so we rounded up 14 of our favorite recipes that even beginner cooks can make — from fuss-free carbonara to impressive-yet-simple arancini. Think of this dish as the Italian version of ratatouille. It’s a slew of veggies — tomatoes, onion, and (most importantly) eggplant — cooked together and left to marinate. The result is a flavorful dish that’s typically eaten with bread or enjoyed all on its own. 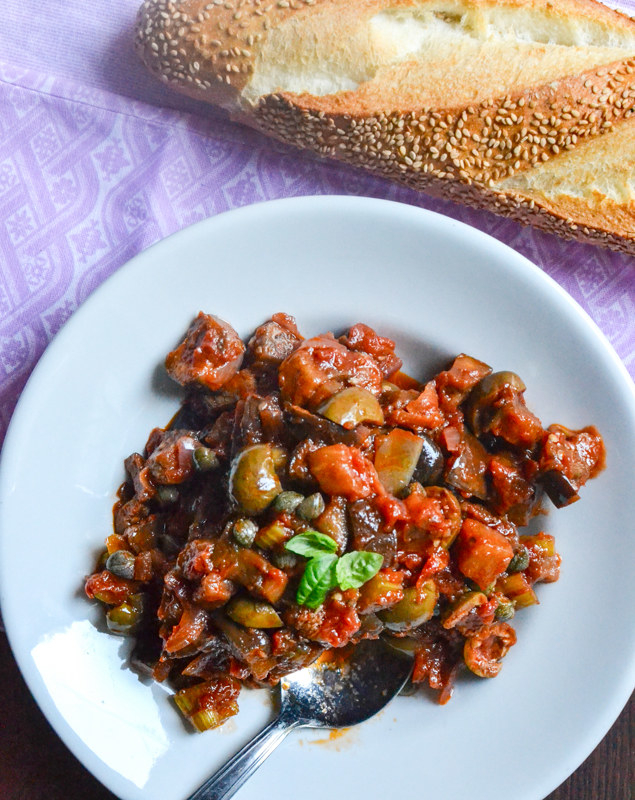 If you’re looking for a simple party appetizer, caponata is just the thing. Get the recipe. 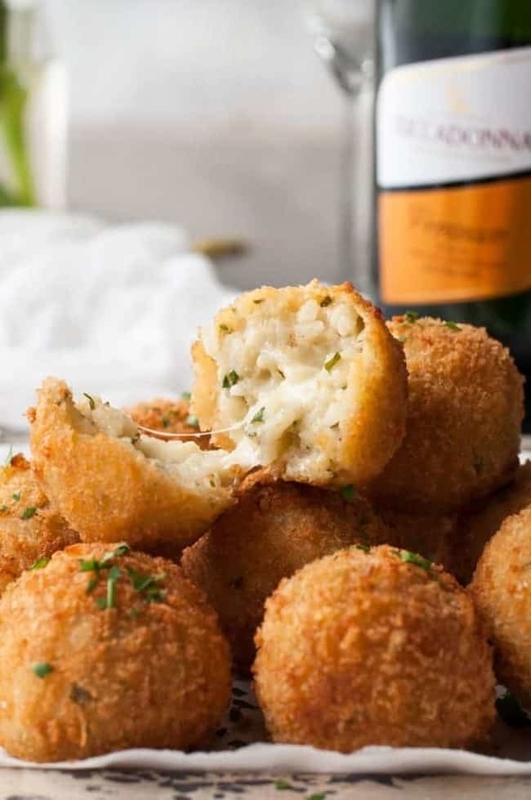 Although easy to make, these arancini balls take a bit of time. You first need to prepare a cooked risotto base that takes at least 30 minutes to make, then you need to let that cool. Once it’s chilled, you just portion it into balls, bread and fry them, and enjoy. They’re crisp on the outside, creamy on the inside, and the perfect snack for parties. Get the recipe. Pro tip: Make the cooked rice the night before and let it chill overnight. The colder the rice, the easier it’ll be to form them into balls. 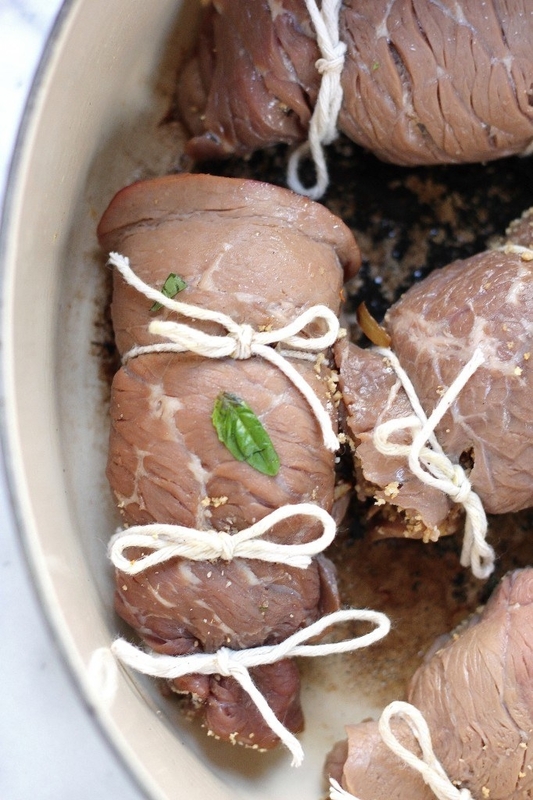 Saltimbocca is veal wrapped with prosciutto and sage that’s marinated and cooked in a pan — sometimes rolled into tight cigar shapes (called saltimbocca alla Romana). 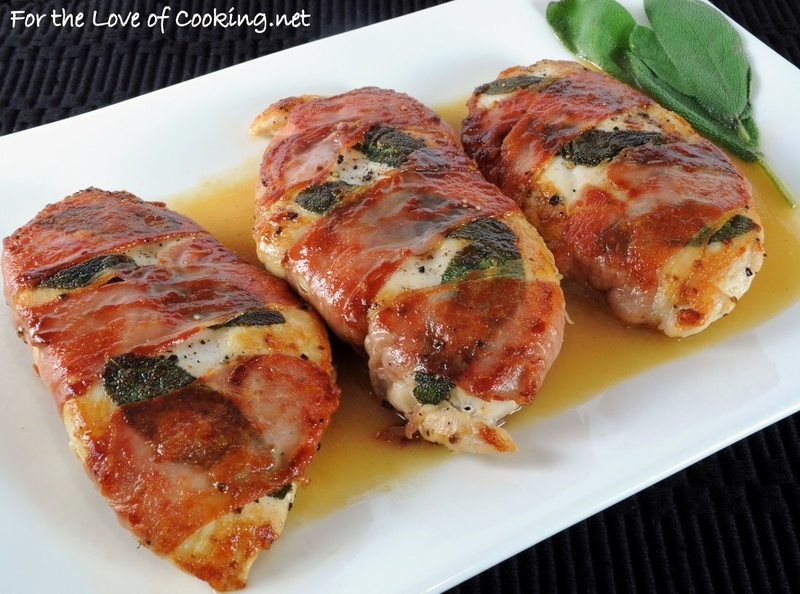 This version, made with chicken breasts instead of veal, is so easy that it can become part of your weeknight recipe rotation. A simple pan sauce made with lemon juice and chicken broth ties the whole thing together and makes for a super flavorful dinner. Get the recipe. 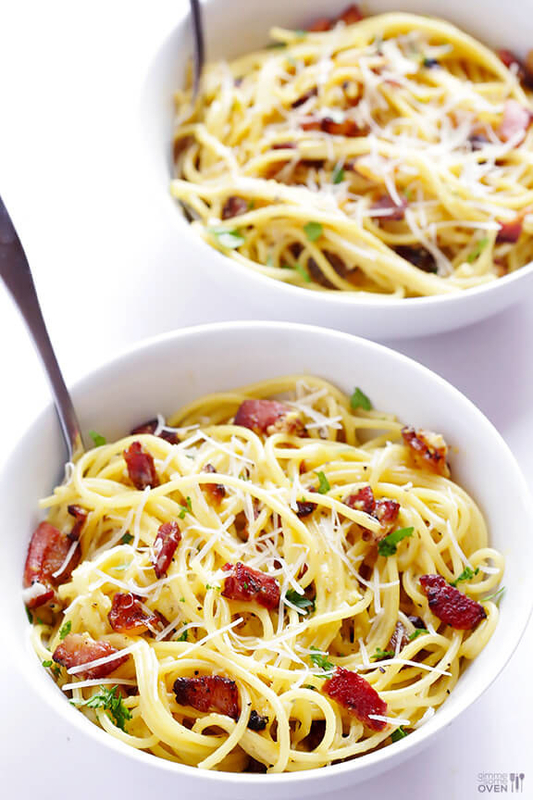 Similar to carbonara, this classic pasta is the perfect example of a recipe that’s something much greater that its parts. 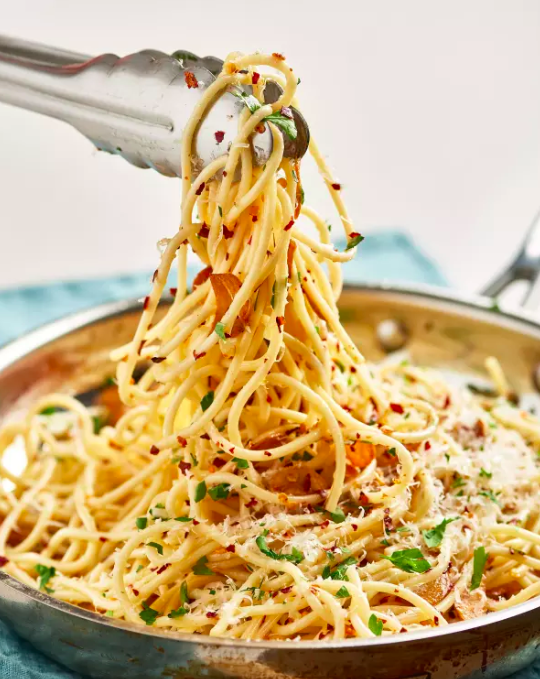 Five ingredients — pasta, butter, pepper, Parmesan, and an egg yolk — come together to create a silky sauce that highlights the aromatic flavor of black pepper. If you love buttered noodles with cheese (who doesn’t? ), give this upgraded version a try. Get the recipe. 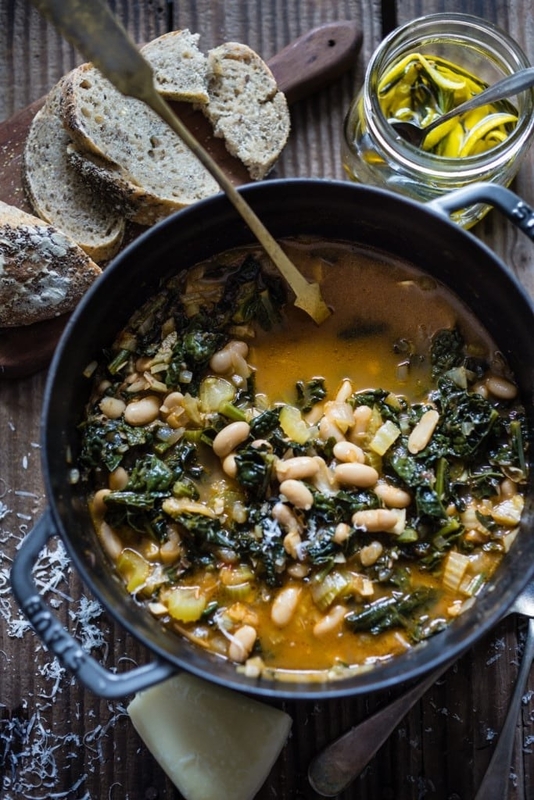 This hearty Tuscan soup is loaded with veggies and beans. It’s perfect for cold nights and makes excellent leftovers (it’s actually often served the next day). It’s comforting, warm, and easy to make. Get the recipe. 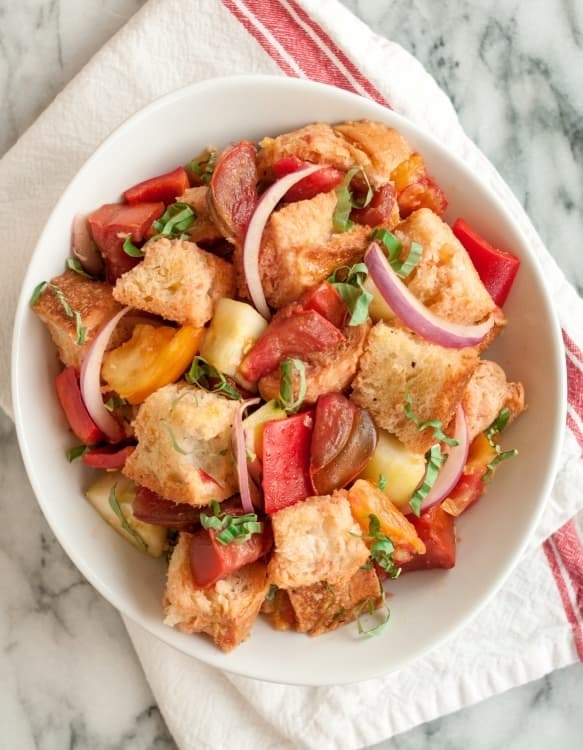 There’s nothing simpler than a panzanella salad. It’s just stale bread tossed with ripe tomatoes and whatever other seasonal vegetables you have on hand. 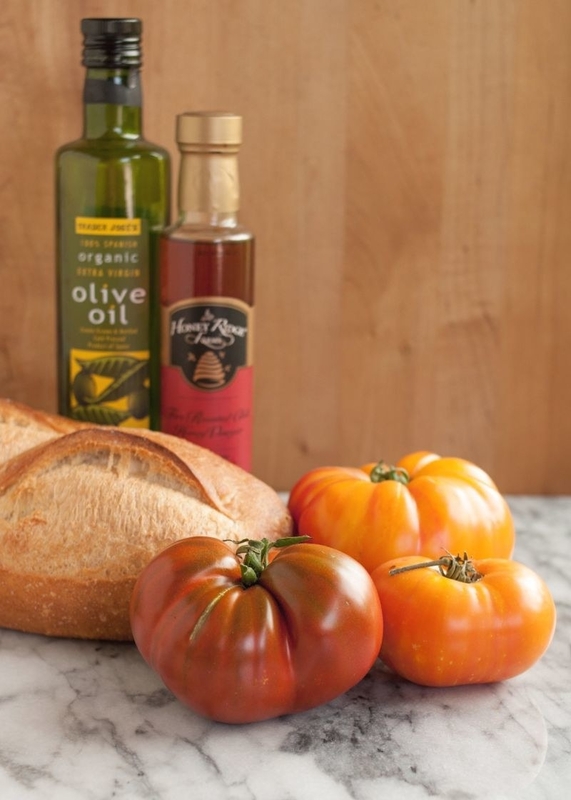 The juice from the tomatoes soaks into the bread and fills it with flavor, and within just ten minutes you have yourself an impressive salad that’s hearty enough to be a full meal. Get the recipe. 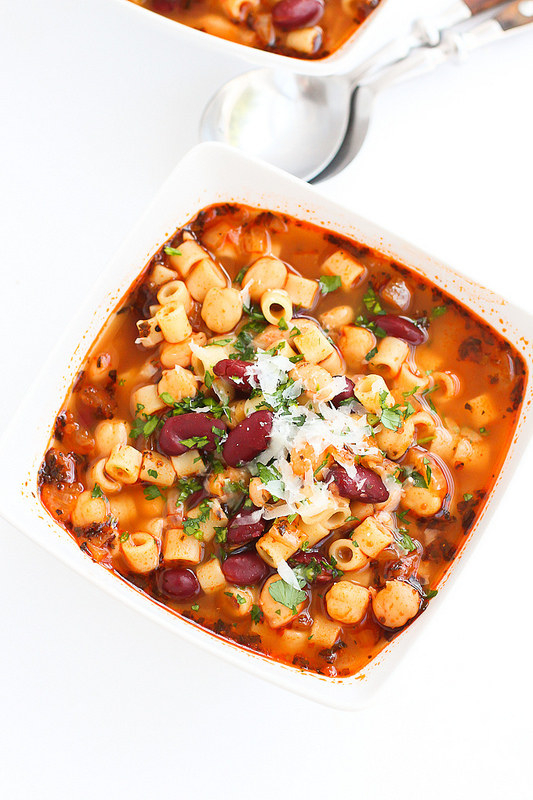 Pasta e fagioli — aka pasta with beans — is a hearty soup that’s the epitome of comfort food. It’s thicker than your typical broth-based soup, but more soup-like than your typical pasta dish. Serve it with crusty bread and a garnish of Parmesan and it’s the perfect weeknight dinner. Get the recipe. 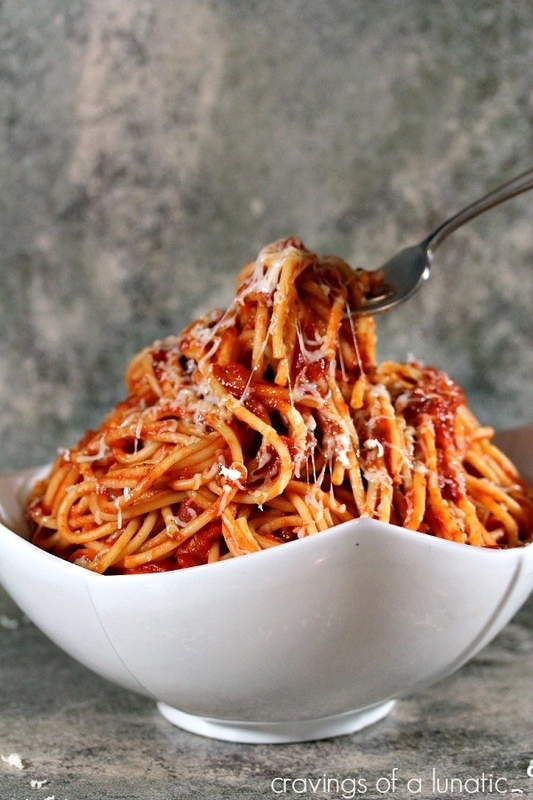 Pro tip: This recipe has you cook the tomato paste with the onions. This step removes the raw tomato taste and helps the tomato paste come to life, so definitely don’t rush it. 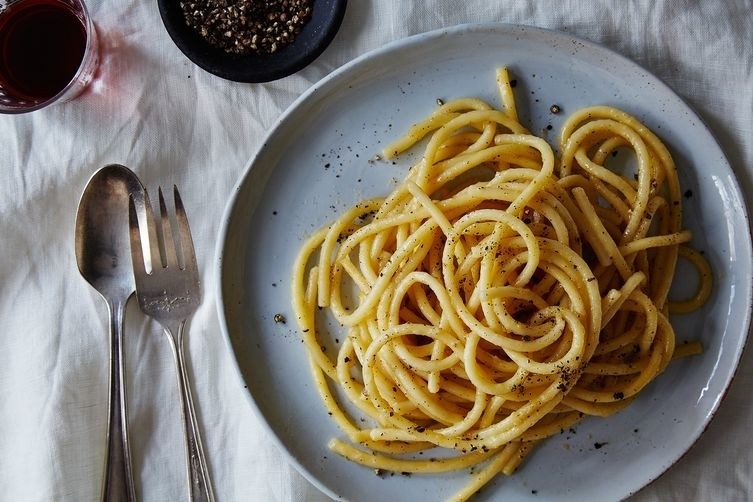 This pasta is as simple can get. The sauce is just garlic that’s lightly cooked in olive oil with a pinch of red pepper flakes. 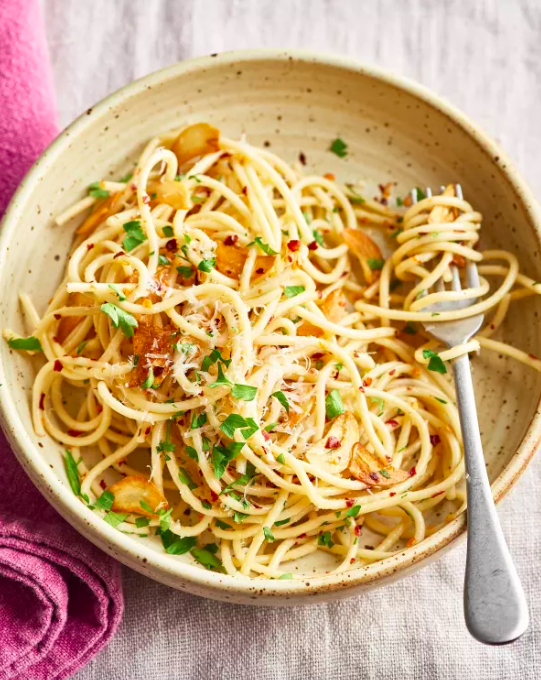 You can add Parmesan cheese or chopped parsley if you’re feeling fancy, but just the core ingredients are delicious all on their own. Get the recipe. Pro tip: Don’t use a super hot pan when making this pasta. The garlic needs time to infuse into the olive oil, so starting it in a warm pan (not a hot one!) allows the flavors to develop. 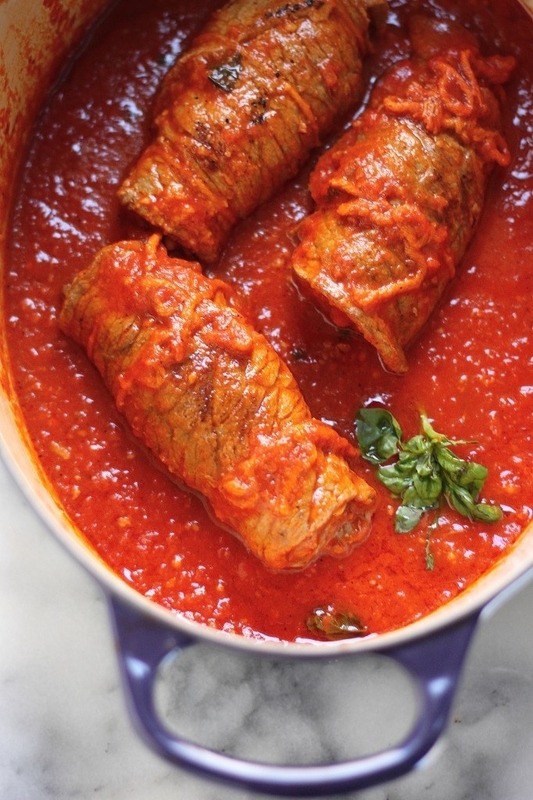 Although the word braciola can refer to a few different things (like slices of meat that are pan-fried) the Sicilian version of the dish refers to a rolled steak preparation that’s sometimes cooked in tomato sauce (but not always). This recipe rolls the beef with a layer of breadcrumbs and onions and finishes them in a classic marinara sauce. Get the recipe. 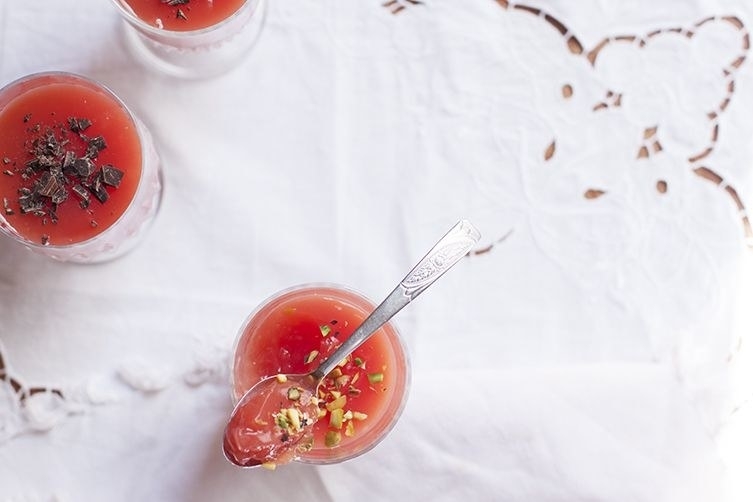 These pretty watermelon puddings are only made with three ingredients and are seriously refreshing. It’s just watermelon juice (which can be made by blending fresh watermelon and straining out the pulp, or by simply buying it) thickened with cornstarch and sweetened with a bit of sugar. It sets into a thick, wobbly pudding that can be eaten right out of the jar. Get the recipe. 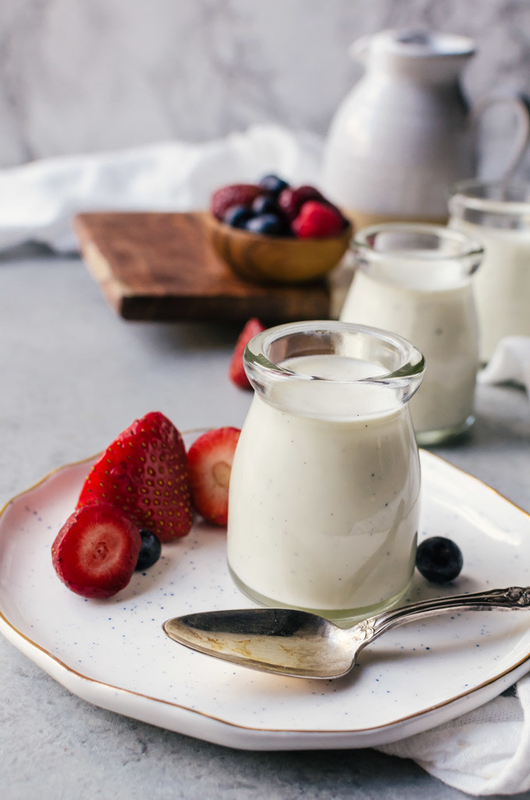 Panna cotta is a simple dessert made by setting sweetened milk or cream with gelatin. It’s kind of like a pudding, but a bit firmer. 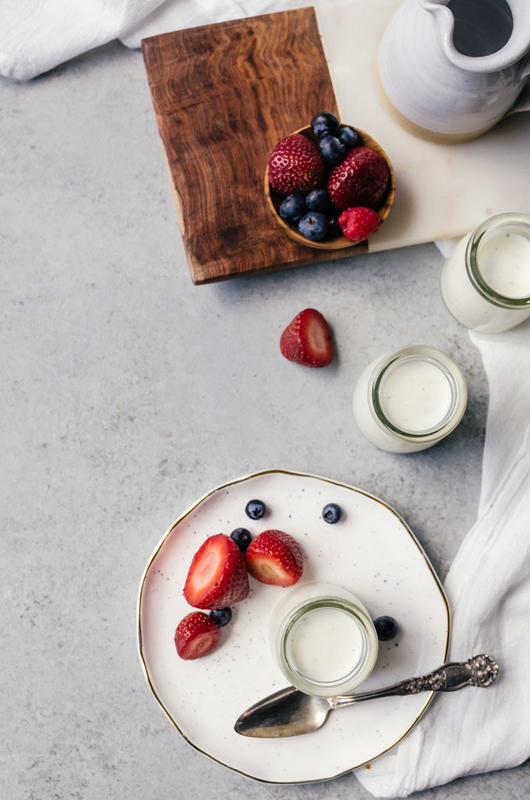 This one, made with buttermilk to give it a tangy flavor, is topped with fresh berries for the perfect simple-yet-impressive dessert. Get the recipe. 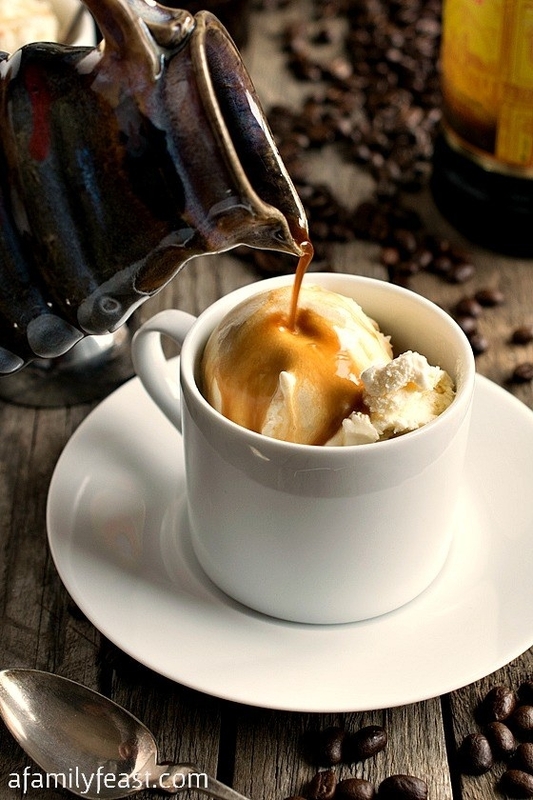 Affogato — hot espresso poured over cold ice cream — is one of those dishes that’s so simple that it practically doesn’t even need a recipe. It’s the perfect pick-me-up after a heavy dinner or a delicious midday treat to help you power through. It’s part dessert, part beverage. Get the recipe. 29 Random Things That'll Make Every '90s Kids Say, "I Remember Having That In My House Too!"